The next time a whole lot of guests arrive, be prepared. The Desire Jenn eight-seater dinning set is a sure way to be prepared. Classy, sophisticated and purposeful – the eight-seater set offers ample space for a bunch of people. A combination of artificial marble and leatherette lends it well to classic home décor, whether modern, contemporary or transitional. The white and walnut bring a balance color tone, while the soft cushioned chairs and marble table create a symphony of their own. Bring it home and let it do the talking. 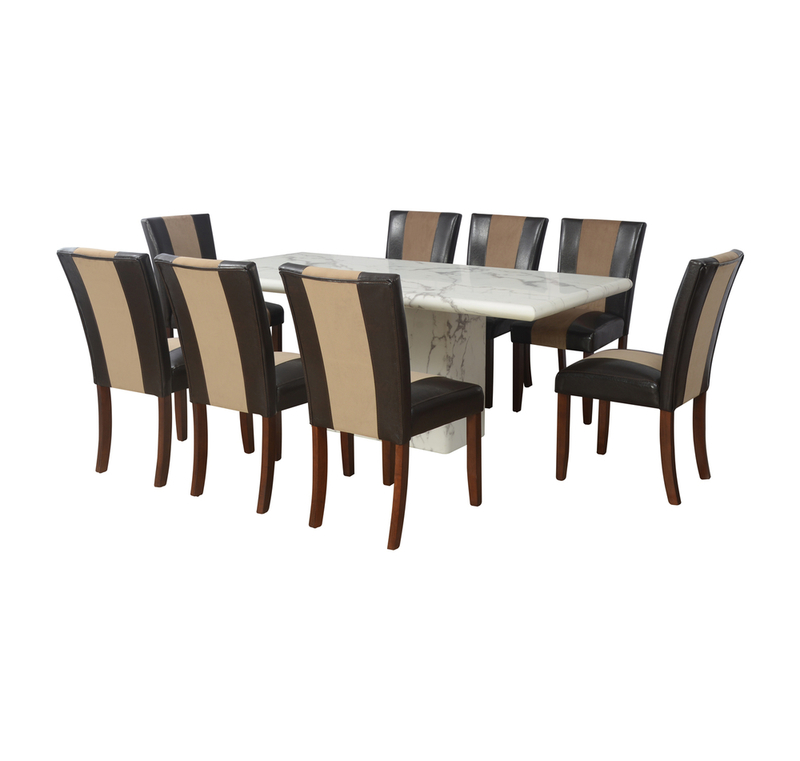 Stylish Dining Set that can match with any Decor.Table top made of artifical marble, easy to clean and maintain.Erogonomically designed chairs with cushion for comfort.Chair frame made up of solid wood which provides durability and strength.